LMI Pump Drive Assemblies for LMI Chemical Metering Pumps. If you are just looking to replace an existing LMI drive you can purchase the LMI drive assembly itself. Please call us if you have having any issues with pricing and availability. We can also make sure that you purchase the right replacement drive for your existing pump. 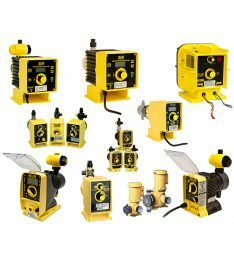 We have replacement pump drive assemblies for A Series, AD Series, B Series, C Series, P Series, E7 Series, J5 Series as well as Series G Motor Driven Series. Most of these LMI Drives will ship in 3 – 5 Days.